1 HR Response to Smoke and Fire Calls! Fire and smoke spread fast and leave a trail of devastating damage behind them! If fire and smoke damage have turned your life upside down, DRYmedic will help you get things back to normal as quickly as possible. Within an hour of your call, an estimator is dispatched to your property to identify and evaluate the structural damage caused by the fire. Our experts assess what is salvageable and what will need to be replaced. Our team will document the scope of damages and necessary repairs by using industry-leading tools and photography. This documentation will be incredibly important in the insurance claim process. DRYmedic® is your restoration partner, even if you need extensive reconstruction. When you experience a fire, the damage goes far beyond what you can see. The heat alone weakens structures- even if they didn’t catch fire. The water or chemicals used to extinguish the flames require special extraction. Smoke and soot leave a terrible mess on walls, floors, and furniture. It takes professional chemicals and equipment to ensure your property is restored safely, without residue or odor. DRYmedic can provide the fire and smoke restoration services you need to get your life back to normal quickly and stress-free. Start with our free property assessment and let us guide you through the restoration process. The thought of taking a full inventory of everything in your home and assessing its damage can be overwhelming. It’s especially difficult where keepsakes are involved. 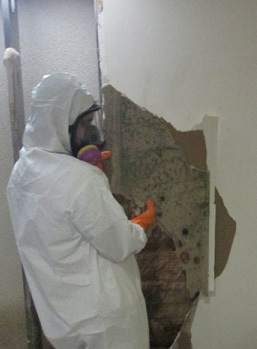 The DRYmedic® team can assess the damage to the contents of your home or business with a professional, impartial eye. We will inventory and categorized based on their ability to be salvaged. We pay careful attention to sentimental items and work with you to restore them whenever possible. For contents that need to be thoroughly cleaned, we’ll dispatch an expert contractor to remove soot and odor using specialty cleaning agents and techniques. We'll tackle light cleaning needs onsite. When Fire & Smoke Cause Disaster, Call the Experts to Get Home Faster! At DRYmedic® we’re committed to bringing your family home and getting your life back to normal. With 20+ years of restoration experience, we can help you with everything from insurance claims to full recovery. Our certified, in-house professionals will provide an honest assessment of the damage and an accurate quote for restoration. With DRYmedic, the job isn’t complete until you are 100% satisfied!